One of the biggest shows of the moment is “Game of Thrones.” It seems like everyone is watching it. This week I’d like to share some “facts” about the show that you may not know… Some strange facts here. If you have any facts to share– feel free to post them in the comments section below! Over 150 babies were named “Khaleesi” in 2012. Since the success of the show “Arya” is the fastest-growing baby name in the United States. Gwendoline Christie, the actress who plays the character Brienne, doesn’t know her birthday. Emilia Clarke, who plays the captivating Daenerys on the show, does not actually dye her hair blonde. She chose to wear a wig instead. Sophie Turner, who plays Sansa Stark, adopted the dog that played her dire wolf in the show. She named the dog Zunni. Charlie Chaplin has a relative on the show: it’s Robb Stark’s late wife played by Oona Chaplin. Charles Dickens also has a relative on the show. Daenery’s brother Viserys is the great-great grandson of Charles Dickens. 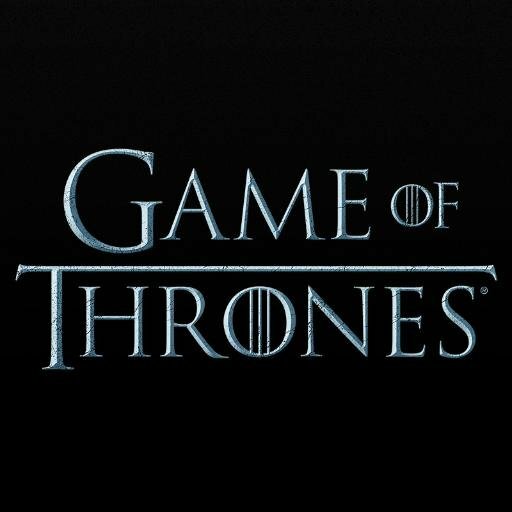 A large number of the actors on the show have not read the books, some fearing it will affect their acting if they know what happens to their character. The actor who plays Theon, Alfie Allen, is the brother of Lily Allen. The actor who plays Stannis Baratheon, Stephen Dillane, has a big connection to the Harry Potter word. Do you know it? His son is the actor who plays Tom Riddle. So… what do you think? Don’t forget to share your facts below! Surviving your twenties can be tough. I thought it would be fun to put together some ways to survive growing older— a little older anyway. This blog post is all about you—it’s about living YOUR dreams… living YOUR life. It’s about making the most out of the time you have. Let’s take a look shall we? If you’re missing someone, it is fine to write him or her a text — even when it’s been too long. Sometimes, relationships change, but can easily be repaired by someone making the first move and saying hello. Take the opportunity! Elderly people are like veritable cheat codes to perfection and happiness. They are singlehandedly able to assist in any problem you’re having, either by providing you with amazing advice or baking you a platter of cookies. Either way, you leave their presence smiling. Seriously? Try one out! Friends are supposed to make you feel good about yourself. Don’t ever forget that. Never let something or someone cloud your feelings about something you want. Anyone who tells you that you cannot achieve something deserves to get the finger and see just how much you can do. Traveling is probably the best thing you can do for yourself in your 20’s. It doesn’t need to be an extremely long trip; it can be spontaneously getting in your car and driving through as many states as you can. If you can do it, you should. There is too much out there to experience and so little time. Date someone who has similar musical taste as you. One the more beautiful things about life is music and the effect it has on us, and if you can find someone who has similar feelings about the same songs as you, then what is better than that? If you feel strongly about something other than music — like movies, books, etc., — find someone who shares that interest with you. Be happy with someone else. Whatever you do, do not worry about what people think about you. As long as you are happy with the person who you are and the decisions that you make, then you shouldn’t stress about anyone else’s thoughts on the subject. Learn to accept that you are where you are in life for a reason. Everything happens for a reason, yet you probably find yourself questioning why. Sometimes, seemingly negative situations must transpire in order for something better to come along. It’s nothing to fear or be sad about, but instead, reassurance that something good is on its way. Always remember that you are first priority. What Do You Hate About Being An Adult? Being an adult isn’t always fun and games. A recent survey was conducted and adults were asked what they thought sucked about being an adult. All kinds of answers were given—but this blog post is all about the most popular things adults thought sucked about being an adult. Some of these may seem to be bitter—but they are the things people voted for! You spend all your time making money, so you can spend all your money making time. You work hard to buy a home just to work as hard inside your home. There is no summer vacation from your job – unless you work at a school, but then you are back at school. You have to watch what you eat – not just as it comes towards your mouth. Once thrilled by the chase of childhood tag, you’re are now pursued and haunted by failed dreams. You are that much closer to death. Food shopping—every week for a family of twenty. Hanging around the garage waiting for your car—and the bill that is sure to come with it. What do you think? Do you agree with the things these people voted for? What would your personal adult hate be? Feel free to comment below and share the things you hate about being an adult. You’re actually responsible for yourself. You’re no longer primarily surrounded by peers; instead you’re surrounded by people who seem much grown up than you, and you’re just trying to pretend you’re a real one. Taxes, car payments, phone bills, landlords, cooking for yourself and developing something that resembles a budget: all of these things together can be overwhelming. Friendship after college is requires work — and that’s okay! The friends you’ve made in college are an incredible gift. But next, you’ll all move away, and before you know it you’ll be living different lives. Keeping in touch with old friends becomes harder; you have to have a life in the place you live. Keep up with your old friends with visits, phone calls and set Skype dates. Some friends you might connect with every few weeks; others, you might connect with every few months. Some might be once a year. You may even lose touch with a few. Just remember it’s okay that your friendships are different. If you enter into your vocation right after college, good for you. It’s so very exciting! You’ll have joys and struggles, and you’ll have a lot of transition as you settle, wherever life takes you. Be patient and enjoy the journey. One joy I’ve found in my first office job is that there is a blessed monotony in the nine-to-five. Of course, not all jobs will be that exact timeframe, and not everyone works in an office after graduating, but I was surprised to find something like — what is it? Peacefulness? — in a steady job. Yes, this changes too. As you grow, you’ll relate to your family differently. You’re living your own life; you have your own schedule, job and friends. For some, the transition in the relationship you have with your family might be easy. For others, it may be a struggle. However, it changes for you, know that it’s okay that it is — it’s just another part of what’s evolving in this time of your life, just as they should be. Join in for a chance to meet new authors, fellow readers and tons of contests & prizes. One of the most important aspects to your “after-college” life will be landing a job. It’s a tough world out there—but these tips should help you glide through the ‘job interview’ process. Now button up, dress smart and let’s see if we can get you a job! Knowing a thing or two about your potential employer will assist you in the interview. It will help you to tailor your responses and to show you are keen. Spend some time reading the corporate website at least. Consider the most likely questions that you are going to be asked before you even get to the interview. This way you are ready and won’t get stuck for something to say. In most businesses looking smart is a given so you should think about what to wear carefully. True, some places take a more relaxed attitude to attire, but you cannot go wrong with conventional office wear to create a professional first impression. On the day of an interview, allow plenty of time to get there without rushing or being stressed by delays. Take everything you might need such as notebooks, pens and a copy of your CV. Remember to look your interviewer directly in the eye, focusing on what they are saying. A smile can be a powerful tool at a first meeting. Even if you feel nervy, make sure you smile because it will make you come across as friendly and relaxed. Never say you have nothing to ask at the interview. It makes you seem disinterested so always have a few questions to ask your interviewer planned in advance. Even if you are taking everything in, making a note creates the impression that you are paying full attention. This is one of the best interview techniques for people who want to come across as conscientious.